There are many options to choose from when you get a mortgage, from the term (this is the length of time that the agreed-upon mortgage contract conditions, including interest rate, will be fixed. It can vary from six months to 10 years) to the amortization period (the length of time you have to repay the entire loan). For more information, talk to your financial institution, lender or broker. A mortgage that is for no more than 80 percent of the appraised value or purchase price of the home. To get this type of loan, you must pay a down payment of at least 20 percent of the purchase price of the home out of your own savings. The big benefit of conventional is that you are not required to obtain Mortgage Insurance which can cost 3.15% of the purchase price. A mortgage loan for more than eighty percent of the price of a home. With a high-ratio mortgage, you can pay as little as five per cent of the cost of the home as a down payment. However, if you get a high-ratio loan, you will also need loan insurance. Mortgage loan insurance protects the lender if you are unable to pay back the loan, and most Canadian lending institutions are required by law to have it. It has helped millions of families buy homes of their own with as little as five percent down. A loan where the interest rate doesn’t change during the life of the mortgage. The distinguishing factor of a fixed-rate mortgage is that the interest rate is known from the time the loan originates. The benefit of a fixed-rate is that the homeowner will not have to contend with varying loan payment amounts that fluctuate with interest rate movements. A mortgage where the interest rate changes according to changes in the overall financial market. With a variable rate loan, your monthly payments usually stay the same, but the amount that goes to pay either the principal or the interest changes as the interest rate changes. A mortgage that is already pre-approved for a specific amount, before you even begin looking for a house. Getting pre-approved for a mortgage can help make your search easier, by telling you in advance exactly how much your lender is willing to provide for purchase. 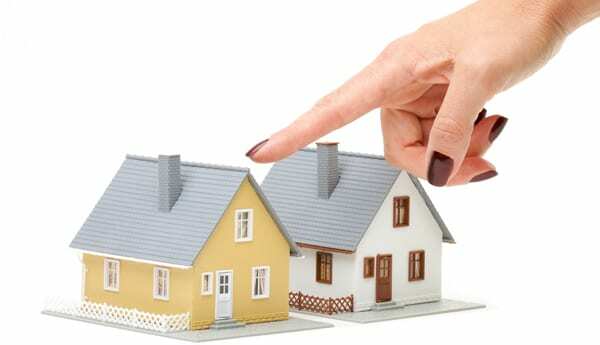 An existing mortgage that the seller of the home already has, which you take over as part of the purchase. Taking on an existing loan can save you money on the appraisal and legal fees. Plus, depending on whether interest rates are rising or falling, an assumed mortgage could have a lower interest rate than you would get if you negotiated a new one. A mortgage that you can repay in part or in full at any time without having to pay an additional penalty cost. Open mortgages generally have higher interest rates than closed ones, but they make sense if you know that you will be selling your home soon, or if you plan on making extra payments from time to time. A mortgage that does not allow you to make extra payments, or which charges you a penalty if you want to pay off the loan ahead of schedule. Closed mortgages offer a lower rate of interest, but they are also less flexible than open ones.